يقع في South Bank, ريدجيز ساوث بانك, ساوث بريسبان إنه المكان الأنسب لاكتشاف بريسبان و ما يحيطها. يقع مركز المدينة المثير على بعد 1. Km فقط. بالنسبة لمن يريد الخروج، هذه بعض المعالم السياحية المتوفرة للزوار صنكورب بيازا, مركز بريزبان للمعارض والمؤتمرات, South Bank Parklands. إن الخدمات الممتازة وحسن الضيافة العالي في ريدجيز ساوث بانك, ساوث بريسبان تجعل إقامتك تجربة لا تنسى. تتضمن الميزات الرئيسية في هذا الفندق: خدمة الغرف على مدار الساعة, واي فاي مجاني في جميع الغرف, مكتب الاستقبال على مدار الساعة, مرافق مخصصة لذوي الاحتياجات الخاصة, تسجيل وصول/خروج سريع. بالإضافة لهذا,تتضمن كل غرف الضيوف مجموعة واسعة من وسائل الراحة . بعض الغرف توفر حتى تلفزيون بشاشة مسطحة, صوفا, غرفة معيشة منفصلة, كاشف دخان, اتصال لاسلكي بالإنترنت لإرضاء أكثر الضيوف تطلباً. كما أن مجموعة الخدمات الواسعة الموجودة في الفندق لضمان راحتك تترك لك الكثير من الخيارات لقضاء وقتك أثناء فترة إقامتك. يشكل ريدجيز ساوث بانك, ساوث بريسبان بخدماته الراقية وموقعه الممتاز، قاعدة مثالية للاستمتاع بإقامتك في بريسبان. تتوافر خدمة انتظار السيارات بخادم للنزلاء المقيمين في الفندق مقابل رسوم إضافية. ويُسمح بسيارة واحدة فقط لكل غرفة بحدٍ أقصى. The bed was so comfortable... literally like sleeping on a cloud. Beware if you have a car they will charge you $40 a night to park it ! This is disgusting in my opinion for guests to have to pay for parking. Also there were no complimentary robes in the room - strange for a hotel of this caliber but they did offer them on request. 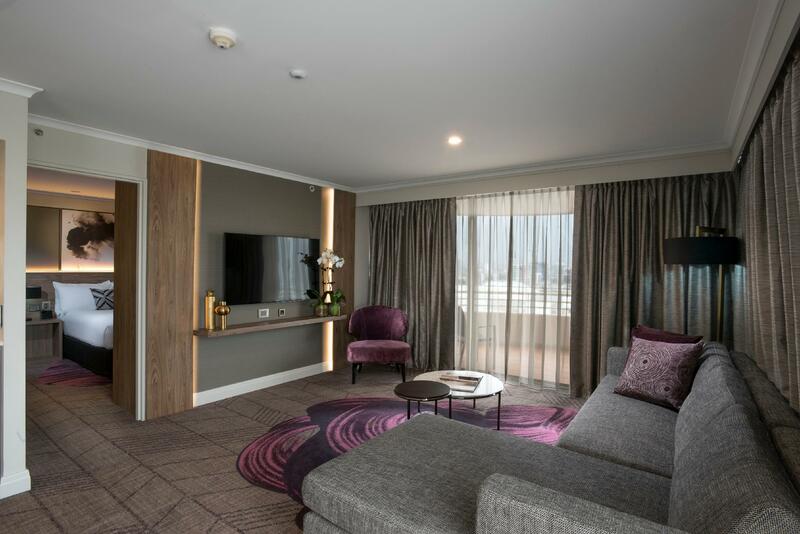 Book the king suite for a beautiful layout, size and fresh suite. The bed was very comfortable and had everything you need to enjoy your time. The staff were friendly and helpful making the stay memorial. This hotel is on the hart of south back with grest facilities and a walk to all the main attraction and restaurants. I would stay here again. We booked for NYE so was expectedly expensive. Room was very comfortable. Breakfast in the cafe downstairs the following morning was terrible. We got the wrong orders, they forgot our coffee's and the wait time was very long. Won't go there again. Just had one night here. It's a great, convenient location. A bit cramped around the entrance and only provides valet parking at $ 35. The rooms are large and very comfortable. 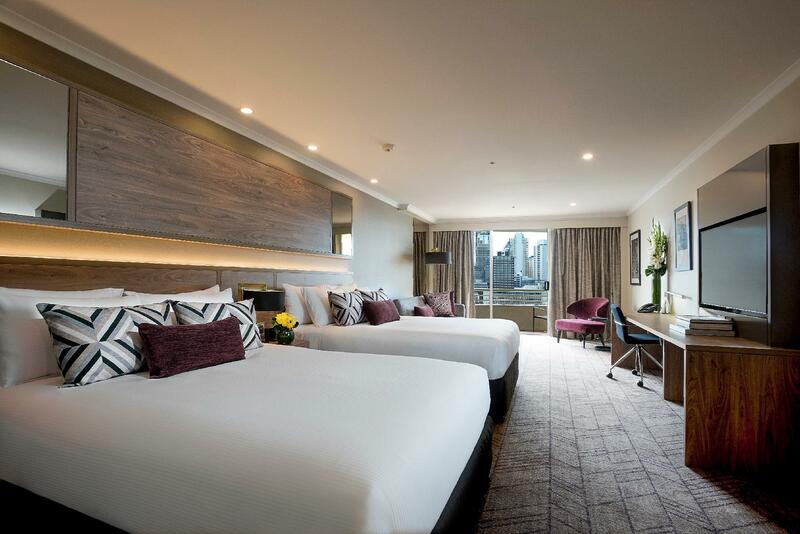 Beds comfortable, balconies with great views across the river to the CBD. The staff were efficient and very helpful with jump starting my car. Café/bar was good Maybe could use some more casual seating. 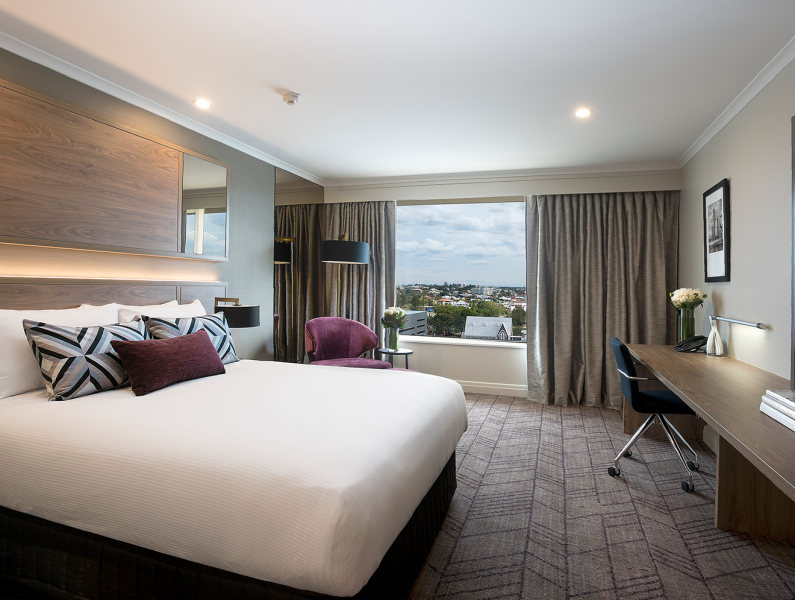 The location is ideal for tourists and even more so for business traveler as it's located next to Brisbane Convention and Exhibition Center. Breakfast is not included. Staff is friendly. There are also many eateries and bars in the vicinity. Good location. 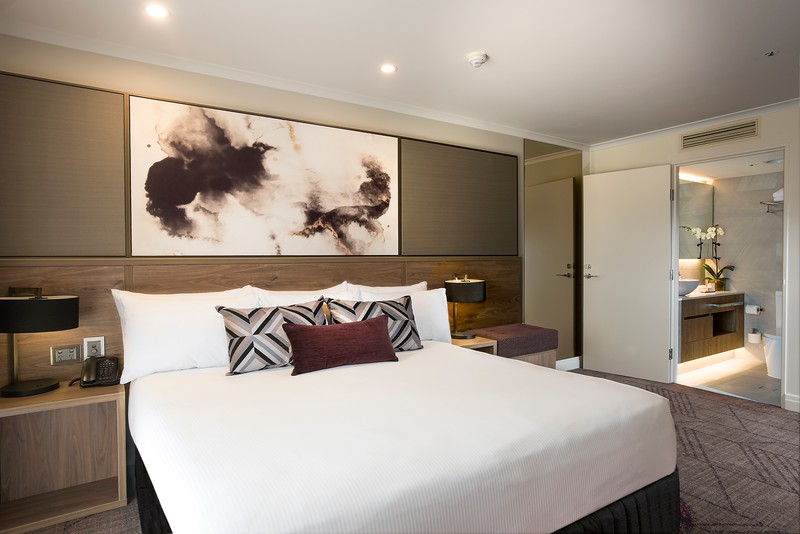 This hotel is very well situated, close to the Brisbane Southbank area, QPAC and exhibition centre. Walking distance to city shopping and restaurants. Valet parking fee was a surprise. Agoda or front reception did not expose it until checkout. I was shocked. Girl in the reception sobstract $40 from the total which was a slight relief. But, I will nit recommend to any one. Third time we've stayed here and once again impressed with the standard of customer service. The location is great for dining out and/or going to the theatre. The tap in our bathroom wasn't working when we checked in. Informed them when we were on our way out for the night and was fixed by the time we got back. Concierge are excellent and will continue to stay their when we are in Southbank for the night. We stayed here for a pool party event which was held in the hotel's pool area. Our room overlooked the pool which was great but once we left the event which finished at 5 p.m., the party continued until at least midnight and was really loud as our room was right next to the pool. I have stayed at this hotel about 9 times. As I have said before in a previous review, it is in a great location, is super cheap, staff are always friendly and the rooms are big and good quality. Its a bit old, but I highly recommend it. 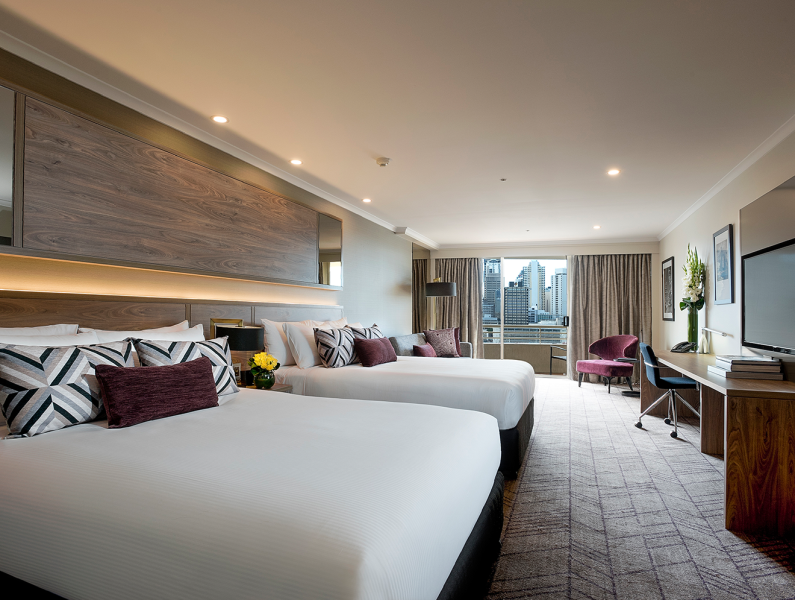 The hotel is conveniently located on grey st in Southbank which is incredibly close to public transport, to southbank (which has the best variety of restaurants in brisbane in close location) and other attractions at southbank. The hotel is clean. The rooms are nice. Check in and out is fast. I was in town on business, it was a very busy weekend due to Australia Day. Check in went well, the rooms hear are large, clean and very comfortable. Over the stay every time I wanted to stay in and watch a movie there was something wrong with the system. The first time it took me two phone calls to get someone to have a look into it. If you have a vehicle you need to have it parked at a cost per day, this is one of my pet hates. I have stayed hear before and both the restaurants in the hotel are great, I tried the room service one night, it was only a toasted sandwich but it was cold and I could not eat it all. 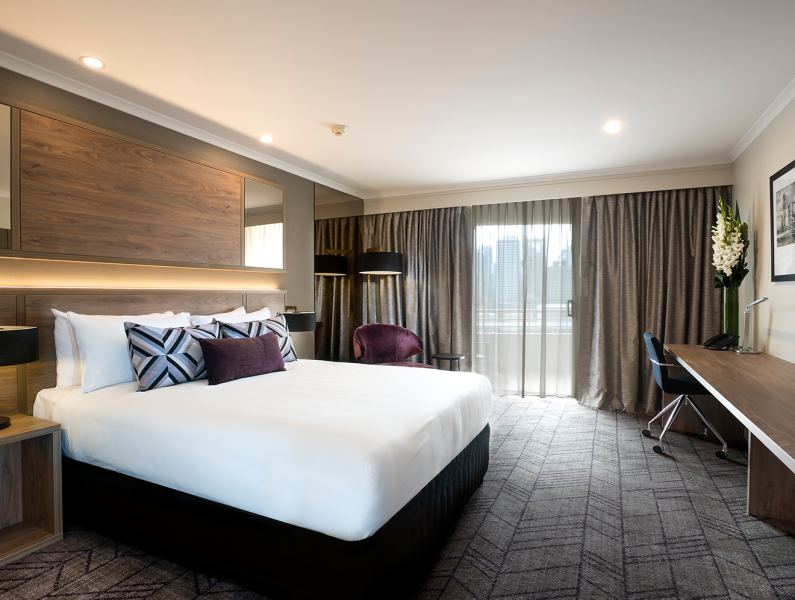 I normally find this hotel great but they let me down this time, I understand they were busy so I will give them another go when I am in Brisbane. 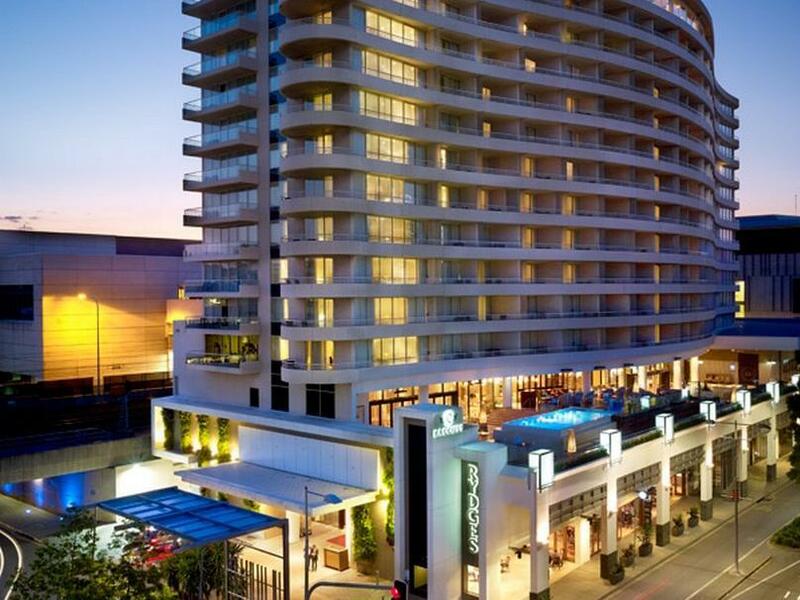 I haven't stayed at Southbank before, so can't compare to other hotels. But Rydges does the job. It's old - but what they lack in shiny, they make up for with excellent service. The staff know their shizz and aren't afraid to show it off. The location is incredible for access to Southbank's markets, bars and restaurants. I will stay again! In Southbank cultural precinct close to galleries, river, restaurants and easy ferry ride to city centre. Great staff and location but the hotel needs a facelift. Clean rooms in a central location, staff were friendly and upgraded my room free of charge. Great value for money. I’ll definitly be staying there again.